As you’ll know from the first part of this blog series, the acoustics of a recording space is imperative to the success of a vocal recording. From choosing the best recording space to applying the most effective acoustic treatments, the features of the room in which you record have an unquestionable effect on the quality of a recording. However, all this effort to optimise a recording space will all be in vain if the actual vocals are poorly recorded. In other words, you could have the perfect sized room with the best sound absorbers money can buy covering every possible surface, but if you’re recording equipment is rubbish, your vocal recordings are likely to be rubbish too. The recording industry is awash with equipment that can potentially help you improve your vocal recordings. It can sometimes be overwhelming when faced with so much choice, but there are some basic tips to follow that can produce some amazing results. In this post, we will explore the audio equipment essential to producing quality vocal recordings and throw in some industry tips that are valid no matter experience level or budget size. The first thing that comes to mind when discussing vocal recording equipment is probably the microphone. And for good reason. It’s not only the most iconic bit of kit associated with vocalists but it's also the primary recording tool. The first thing the melodic sound waves hit after leaving a singer’s lips is the microphone. It, therefore, makes a lot of sense to ensure that you are using the best microphone for that recording – within your means, of course. There seems to be an infinite amount of microphones on the market. They vary in size, shape, function and of course price. Now, as with a lot of technical equipment, the differences in cost are not always indicative of quality. Some of the best vocal microphones out there are to be found at the lower end of the price range. In fact, Bono is famous in the recording industry for favouring a modest $100 mic – the Shure SM58. Dynamic mics: these mics tend to work better with low frequency, rugged voices and are the most popular choice for live vocal performances. Dynamic mics can withstand more forceful vocals that vary a lot in power and volume. This makes them ideal for rap or heavy metal vocals. A great, cost-effective model to go for is, in fact, Bono’s beloved Shure SM58 mentioned above. Condenser mics: these mics are more sensitive to sound fluctuations and have a better frequency response range. This makes them the microphone of choice for studio recordings as they pick up subtle changes in the vocalist’s voice. Large diaphragm condenser mics are great for vocal recordings as their wide diameter heightens that sensitivity further. While condenser mics are costlier than the average dynamic mic, there are still plenty of lower-cost options available, such as the MXL 3000. 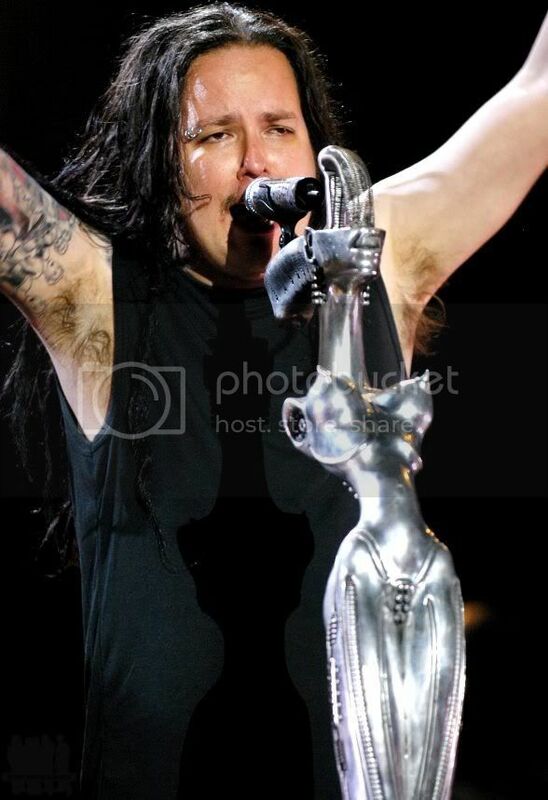 Admittedly, a mic stand may not be the sexiest part of your recording setup (unless you’re Jonathan Davis from Korn, that is), but it is still an integral part. A self-explanatory bit of kit, there are a surprising variety of mic stand models for you to choose from. From tabletop to tripod, short to long, there are mic stands to suit all recording types. When it comes to vocal recording, singers will want a mic stand that allows them to stand up, completely fill their lungs and fully project their voice into the microphone. A shock mount is a mechanical fastener that prevents unwanted vibrations from interfering with the microphone and disrupting the recording. They use elastic parts to suspend the microphone, isolating it from vibrations that may travel up the mic stand and into the microphone itself. A typical example of this type of interference is a vocalist tapping their feet while recording. Without a shock mount, a mic could pick up on those subtle vibrations and become, for the person recording it, a big headache. Choosing the best stand for your vocal recording will largely depend on what you’re going to attach to it. If you plan on using a shock mount, reflection filter and boom (essentially an adjustable arm), you should probably opt for a tripod with sturdy legs that can support the weight. If you go boom-less, a circle base mic stand is probably the better, less cumbersome option. Perhaps only second to the microphone when it comes to vocal recording equipment importance, preamplifiers boost the low output signal of the microphone from “mic level” to “line level”. Electric instruments such as keyboards and electric guitars will already be at line level but mic level will naturally be a lot quieter. Preamps therefore have a significant effect on the tone of your vocal recording. Good preamplifiers will ultimately unlock the full potential of your mic, so it’s definitely worth parting with a few extra pounds – if you can afford it – to get that higher quality preamp. Preamps range from those built in on your recording interface, such as the popular unison modules on the UAD Apollo, right up to the venerable and highly coveted Neve 1073. When people sing – and speak, for that matter – pronouncing certain letters and syllables requires the singer to expel a forceful blast of air. The main culprits are ‘P’ or ‘B’ syllables (known as plosives), and ‘S’ or ‘F’ syllables know as (sibilance). These turbulent bursts are basically imperceptible in daily conversation but can be wincingly obvious in vocal recordings. It’s true that the popping and hissing caused by plosives and sibilance can be addressed in post with de-essers and multi-band compressors. However, there are a couple of much cheaper alternatives that can nip it in the bud before a single note has been sung. As any good doctor will tell you, prevention is always better than cure. The simplest way to avoid popping and sibilance is to get your vocalist to sing at an off-axis angle so they are not singing directly into the mic. This creates some distance from the vocalist’s mouth and the mic’s sensitive diaphragm. This old industry tip is certainly effective but it is not totally reliable. It depends heavily on the vocalist’s microphone technique, which can often falter in the passion of their performance (see the uncontrollable foot tapping above). In terms of value for money, you can’t really say no to pop filters. These cheap bits of equipment create a physical barrier between the singer and the mic, catching all those pesky plosives and sibilance in its metal mesh. They also function as a distance marker to keep the optimum distance from sound source and recording device. You don’t want to spend more than a tenner on a pop filter and why not throw in an extra couple of quid for a pack of windscreens (essentially a foam sock for your mic) if you’re expecting a particularly boisterous vocalist? Speakers: known in the audio industry as studio monitors or nearfield monitors, you want speakers that sound as neutral as possible. When recording vocals, it’s imperative that your speakers are honest and don’t unduly colour your sound. Studio monitors have a flatter frequency than consumer speakers to allow you to objectively judge your recording. They can get pricey but there are affordable, professional quality models out there, such as Yamaha’s HS8 or Focal’s Alpha 50. Cables: no recording space is complete without a mess of cables scattered on the floor. Like vines amongst the vinyl, cables are the veins of the recording process, connecting all of your equipment together. For a basic setup, you can start with just 3 cables – 1 long XLR cable for your microphone and 2 shorter ones for your monitor speakers. Brands such as Hosa, Monoprice and especially Mogami have plenty of options to match any budget. Headphones: while monitors are still widely used by audio mixers, the majority of smaller recording spaces, especially home studios, can use headphones for all of their recording needs. For recording purposes, headphones can be divided into two subcategories – closed-back and open-back. When it comes to vocal recordings, closed-back headphones are essential. Their ‘closed’ design stops pre-recorded sound registering on the microphone as you sing. As with most audio equipment, prices range considerably so do your research and you will be able to buy within your budget. For headphones in the middle of the price range, AIAIAI’s TMA 2 Monitor Preset headphones are a great choice. For more modest budgets, you can’t really go wrong with the Audio-Technica ATH-M40x model. At Kore, we offer a great range of vintage and modern gear in a modern and professional recording studio. Overseen by veteran producer, George Apsion, our studio is equipped with a mixture of high-end and vintage recording gear. Get in touch today to arrange your vocal recording studio session.